You are here: Newby Management > Blog > Newby Community > Why does Newby Management do Strawberry Socials? A great way for the residents to get together with the reps. from Newbys. Have always had a great time. Also a way to welcome in the Strawberry season. Enjoyable all around. Thank you we love doing the strawberry socials! A great way to welcome in the Strawberry season. It has always been a very enjoyable way to meet some of the Newby people that put it on. Great also for the residents to get together. It is a great way to welcome in the strawberry season! We hope that you enjoy them. Glad to hear it! 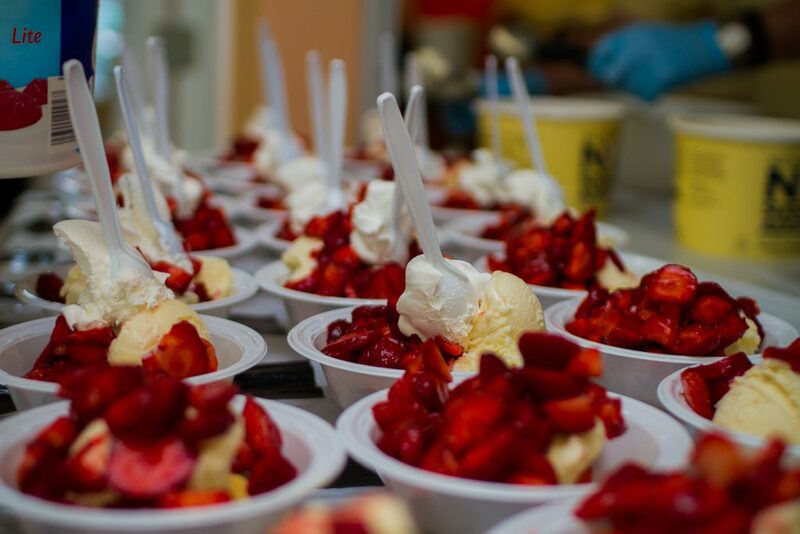 We always look forward to putting on the Strawberry Socials! We love our strawberry socials here at Woodbrook very much! Thank you Newby! You’re welcome, we are glad that you love the strawberry socials! And we love Newby for such a delicious treat! It’s very generous and they don’t even let us help! Thanks, Newby Management,, for a nice event. Thank you Jann, we are happy to have a Strawberry Social for your guys!